Beaches Moving & Storage Inc.
Our goal is to connect people with the best local experts. We scored movers on more than 25 variables across five categories, and analysed the results to give you a hand-picked list of the best movers in Jacksonville, FL. A1Ace Movers, Inc. is a Northeast Florida moving company with more than 20 years of professional experience. The team specializes in local and long distance moves for both commercial and residential customers. A1Ace Movers is licensed, bonded, and insured and accredited by the Better Business Bureau. The owner of All American Movers and Storage has nearly 50 years of experience helping Jacksonville residents with their local and long-distance moves. All American Movers and Storage is family-owned, a Florida Certified Business, and qualified to assist with military moves. The company has won numerous local and national awards in the past 25 years, including Overdrive Magazine’s “Driver of the Year” and Ward 4 Star Pro Hauler of the Month. Family owned and operated ATI Movers, LLC is a Jacksonville moving company. The team has more than 10 years of experience, and works with residents moving to or from the Jacksonville Metro area. They offer hourly rates for 2-men and 3-men teams, and can provide a 4-man team for larger moves. ATI movers is Better Business Bureau accredited and licensed, bonded, and insured. Family owned and operated B & B Movers is a Jacksonville based moving company offering more than 20 years of professional experience. The team specializes in apartment, home, and office moving, loading and unloading, packing, overseas container loading and unloading, and more. B & B Movers offers senior discounts, is licensed, registered, and insured, and accredited by the Better Business Bureau. B. Patrick & Associates is a full-service Jacksonville moving company specializing in packing, loading and unloading, and white glove delivery. Additional services include cleaning, furniture assembly, home theater setup, landscaping, real estate services, and local investor referrals. B. Patrick & Associates is accredited by the Better Business Bureau and serves Jacksonville, Miami, Charlotte, Raleigh/Durham, Atlanta, Tampa, and Birmingham. Jacksonville based Beaches Moving & Storage Inc. is a moving company with more than 40 years of professional experience. The team offers packing and unpacking, local and long distance moves, crating, storage, and more for both commercial and residential customers. Beaches Moving and Storage is licensed and registered in the state of Florida. Founded in 2001 and expanded in 2011, Big Red’s Moving Services is a moving, junk removal, storage, and residential cleaning company with offices in Jacksonville, Tallahassee, and Orlando. Their local and long-distance moving services include rental truck loading and unloading, packing and unpacking help. The team is also equipped to help move specialty items such as pianos, antiques, pool tables, and hot tubs. Conser Moving and Storage is a Jacksonville based agency for Mayflower Transit, whose leadership has more than 25 years combined experience. Mayflower Transit was founded in 1927 and is one of the nation’s oldest and largest moving companies. Conser Moving’s services include residential, corporate, and office moving, and storage and distribution. Day Moving & Storage is a locally owned and operated moving company based in Jacksonville and offering more than 40 years of experience. The team specializes in moves along the I-75 corridor from Ohio to Florida, and everywhere inbetween. Services include packing, crating, and loading and unloading. Day Moving & Storage Better Business Bureau accredited with an A+ rating. Founded in 2002, Helping Hands Movers is a family owned and operated Jacksonville moving company with more than 25 years of professional experience. The team specializes in local and long distance moves, packing, and senior citizen assistance. Helping Hands Movers offers free estimates and earned an A rating with the Better Business Bureau. Home to Home Movers is a fully licensed and insured Jacksonville moving company serving Jacksonville Beach, Orange Park, Ponte Vedra Beach, Atlantic Beach, Neptune Beach, and Green Cove Springs. The team specializes in local and intrastate moves for residents and businesses. Services include trailer loading and unloading, antique and fine furniture moving, and appliance moving. MoveBright Van Lines specializes in local and long-distance residential and corporate moves. 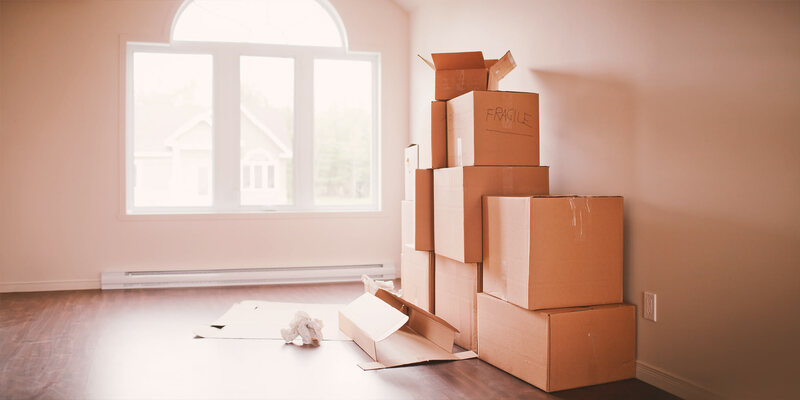 They offer packing, loading, unloading, piano moving, furniture assembly and disassembly, and storage services in North Florida, including Jacksonville, Orange Park, St. Augustine and St. Johns County, and Nassau County. MoveBright is Better Business Bureau accredited with an A+ rating, and is fully licensed, insured, and bonded. Ocean Movers is a family-owned and operated Jacksonville moving company. The team has served the area for more than 10 years, specializing in local and long distance moves. They also offer short and long-term storage options at their security monitored facility. Ocean Movers is fully licensed and insured and all employees have a minimum of three years moving experience. PODS is a national moving and storage company. The company’s Jacksonville location offers storage and packing solutions for both residential and commercial customers. Established in 1998, the PODS solution has garnered nationwide attention. Prestige Moving provides moving services to families and businesses in Jacksonville and the surrounding metropolitan areas. The team specializes in both local and statewide moving, loading and unloading, packing, and crating for both residential and commercial customers. Prestige Moving also offers no obligation free estimates. Royal Moving & Storage Company is a family owned and operated Jacksonville moving company with more than 30 years of experience. The team offers services to both residential and commercial customers including loading and unloading, packing, and storage solutions. Royal Moving earned an A rating from the Better Business Bureau and a Super Service Award from Angie’s List. Family owned and operated Jacksonville based moving company T&E Movers offers more than 20 years of experience. The team’s specialities include moving, delivery, and cleaning in the North Florida and South Georgia areas. T&E Movers is Better Business Bureau accredited and offers free estimates. Jacksonville based moving company, The Florida Movers, offers more than ten years of professional experience. The team provides local and long distance moving services to residents and businesses in and around the Jacksonville area, including St. Augustine, Palm Coast, and Ponte Vedra. Services include apartment and office moving, art and antique moving, packing services, and more.